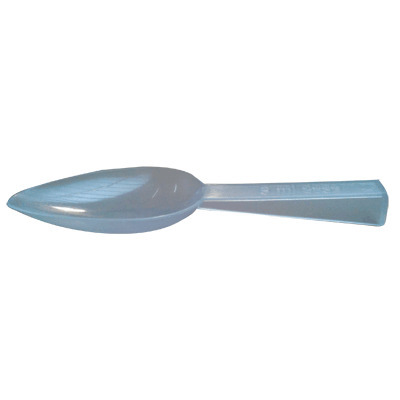 Designed to speed up the accurate administration of drugs, our Medicine Spoons are an economic choice for all healthcare businesses. Manufactured for single and disposable use, each spoon is capable of measuring out 5ml of medicine with a deep bowl that prevents spills and leaks. The clear plastic design makes visual monitoring easier while the angled handle is easy to hold and balance during administration. Ideal for everything from cough syrups to antibiotics and other medicines, this large pack of 250 medicine spoons can be easily stored away until required with single spoons available on a patient-by-patient basis. Our First Aid & Medical Supplies category is packed with everything you'll need to properly care for your patients. From Bandages and Burns Treatments through to First Aid Boxes and Record Books, you'll find the perfect item for your work place at exceptional wholesale prices.